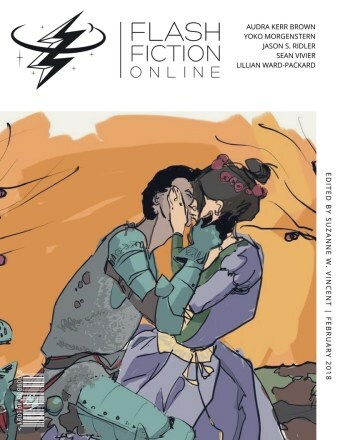 February brings another themed issue of Flash Fiction Online, and one that I as a speculative fiction reviewer I probably could complain about. It’s a month of literary stories, where the speculative elements are light where they’re present at all. But really, I’m not sad about it. Variety is the spice of life and while I much prefer speculative fiction on the large scale, there’s still a lot to like about literary stories, and these three do a great job of capturing some heavy emotions and tense situations. They are stories that really get at feelings and atmosphere, the prose lyrical and fairly dense but never impenetrable. It’s a bit a departure from my normal reading emphasis, but I’m always up for a bit of a change of pace. 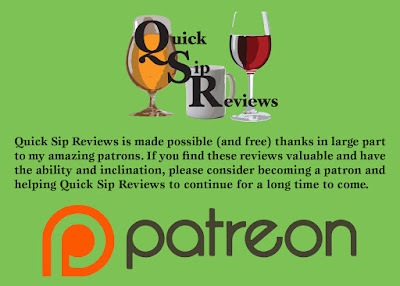 To the reviews! No Spoilers: A person deals with a palpable absence in this story that looks at the presence of grief and the weight of memory. At the same time, there’s a soft message of healing and hope, not of an erase of wounds, but a soothing of them. It’s lovely, tragic, but reaching for something brighter. Review: This story does a great job of giving presence to an absence, drawing the hole where Andy, the partner of the narrator, used to be. Now dead, the narrator is plagued by this constant companion, who doesn’t exactly disapprove of what they’re doing, doesn’t really do anything to make them feel bad or guilty, except that he remains. And that action in itself is enough to wear at the main narrator, who still has to go about caring for their son, who still needs to go about the act of living day to day. It’s a story that handles and personifies grief in a very interesting way (something Flash Fiction Online often does a stellar job at). And I love how the story allows the narrator a way forward. That it brings them to a place where they can begin not to forget about Andy and what he meant, but where they can begin to care about what their life will be going forward. That Andy isn’t coming back, and the hole where he used to be might not be going anywhere fast, but that doesn’t mean that the narrator is beholden to him, to that hole. Instead, they can attempt to honor him as they can while still making sure that their life, that their son’s life, isn’t as empty as the hole. It’s a gripping and haunting read, and it’s definitely worth checking out! No Spoilers: Nina is a dancer stuck in a nebulous place in her life, wanting to embrace who she is but stifled by the reality of where she is, the opportunities open to her. She gets into a rather interesting conversation, and there’s a feeling of where things might go from there. It’s a rather reserved story, focusing on performance and talking, and it does a nice job of conveying a mood and an atmosphere that seem to drift from the screen. Review: This is a rather confined and intimate story, following Nina through a day. What I find compelling about the piece is the atmosphere it creates, vaguely stormy but never really breaking into a full storm. Like with Nina herself, a lot of the piece smolders with hope and frustration, showing people living and reaching for something better but never seeming to be able to actually hold onto it. There’s not a huge amount of action to the piece —Nina dances, gets off stage, gets a ride home from a stranger—and yet it seems to capture this sense of weight and a cycle that Nina hopes will take her forward but just seems to always bring her back to the same place. Faced with that, with that failure to launch, the lack of really anything to do about it, and the constant judgement from other people about how she should be living, it’s her conversation with the Comedian that ends up having the most weight. This idea of crying. This idea of emotions and letting them out instead of always plastering on a smile, always numbing herself with YouTube and drinking. In some ways to me it seems like the story gets Nina to a place where maybe she can mourn for her own losses, for the loss of her dreams, which she was always told to chase until they became stupid and pointless and not real. It’s a weird moment, between her and this Comedian, but it’s a quietly powerful moment as well, and makes for a complex and interesting read! No Spoilers: Two young women skip school to tell jokes in an attic while the Russians launch a satellite that might mean the beginning of atomic war. Coming from the past, the story focuses on the feeling of some impending and momentous event. A bomb dropping. But maybe not a physical one. Tense but lyrical, the piece is full of expectation and things unsaid. Review: I love the contrasts in this story, between the huge, unsaid unknowns, and the quiet connection between these two characters. For me, it’s about the fear that world might be ending, yes, but also about something so much more mundane but so much more powerful, that their friendship as its been might be ending. And for the characters that seems almost the larger catastrophe, because of what they’ve meant to each other, and yet they’re on the verge of changing, and from what it seems like, in two different directions. Not gonna lie, I read the narrator here, Stella, as queer and attracted to her friend Jacqueline but not really sure what to do about that. Given the historical setting, it wasn’t even as acceptable as it is now to be queer, and it’s not like the risks are zero now. But that feeling that Stella has this capital “s” Secret and is on the verge of confessing is something I felt carried through the story. That, or just the fear that once Jacqueline starts dating that the two of them won’t be as close any more, that there will be something fundamentally changed about the relationship. Because I’m me, I’m leaning more toward the queer reading of this story, where Stella is stuck between confessing everything and staying silent, but that the ending implies what she wants is to confess, is to be the one to kiss Jacqueline, to be honest to herself and to her best friend. It’s such a huge thing and I love the weight its given here, the sense that here is the end of the world, and here are these two women, and something’s going to happen. A fantastic read that succeeds with a subtle touch!